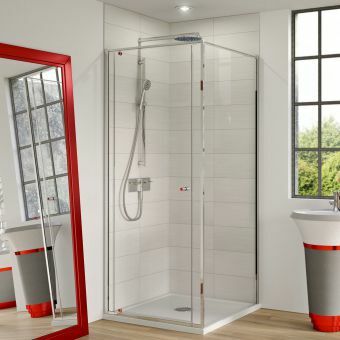 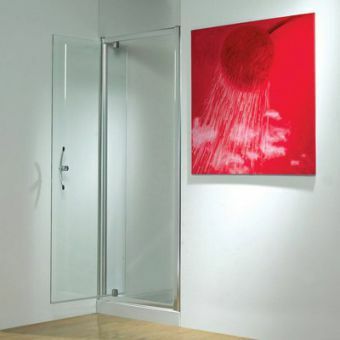 This Matki Colonade pivot door can solve a lot of showering problems and look great in the process. 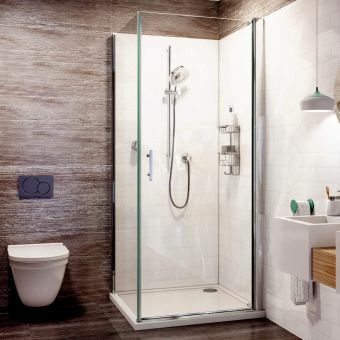 Available in five different sizes, your choice of pivot door can speak to both the size of your shower opening and to your aesthetic sense. 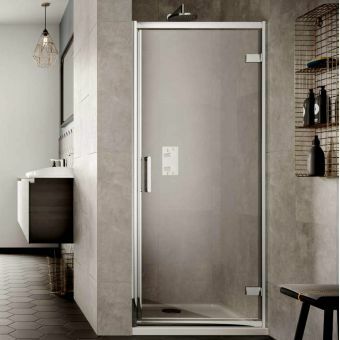 All of the Matki Colonade doors are 1900mm and are made out of 8mm thick safety glass that is clear and easy to clean while still being durable. 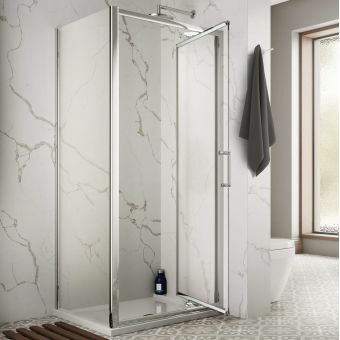 Based on the concept of the column, Colonade pivot doors are very modern but retain a classical quality that works well in just about any kind of decorating scheme. 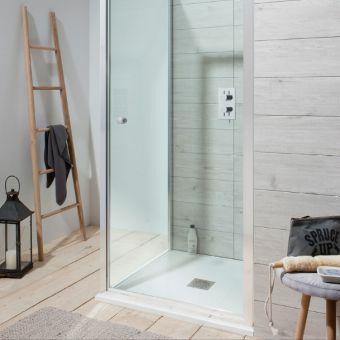 With the option for your door to open to the left or the right plus a generous 40mm adjustment range for out of plumb walls, this door works anywhere.